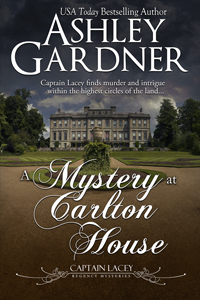 I just finished listening to the audio files for A Mystery at Carlton House, so that should be available in a few weeks from Audible and iTunes. I am writing the next Lacey book, Death at Brighton Pavilion. I’m a little behind on publishing because I did too much traveling last year, and I’m due for more long trips this year. However, I am writing quite a bit, and when I have things finished and scheduled, I’ll post when they will be coming out. As soon as I can do it! I promise. A new Kat Holloway book will be out June 4. 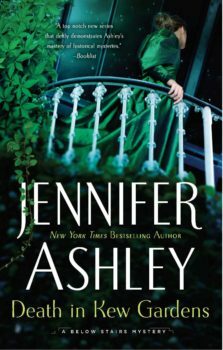 Death in Kew Gardens is finished (just finished proofreading it today), and will be out in print, e-book, and audio in June. I also accepted an offer to write books 4 and 5 in the Kat series, and I’ll have more news on those when I know it. Scandal Above Stairs, Book 2 in the Kat Holloway Below Stairs historical mysteries released yesterday! 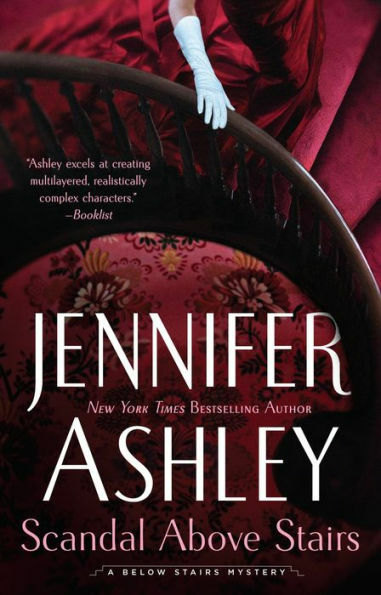 Under my Jennifer Ashley name. It’s in print, e-book, and audio, with the same narrator who read Death Below Stairs. So does Captain Lacey! 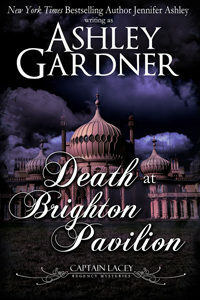 Stay tuned for more information on Death at Brighton Pavilion, Book 14 in the Captain Lacey Regency Mysteries series. 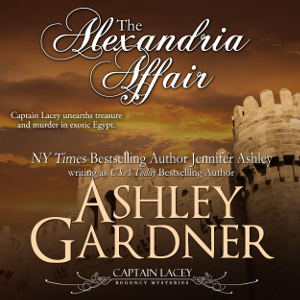 The Alexandria Affair is now available in Audio! James did another fabulous job bringing the characters to life. Find it on Audible and soon on iTunes. And if you did not hear me shouting–Murder in St. Giles made the USA Today bestseller list!!! Captain Lacey might not agree with the fuss, but I am so happy with how well this series is doing. Information on his next adventure: A Death at Brighton Pavilion, is coming soon.